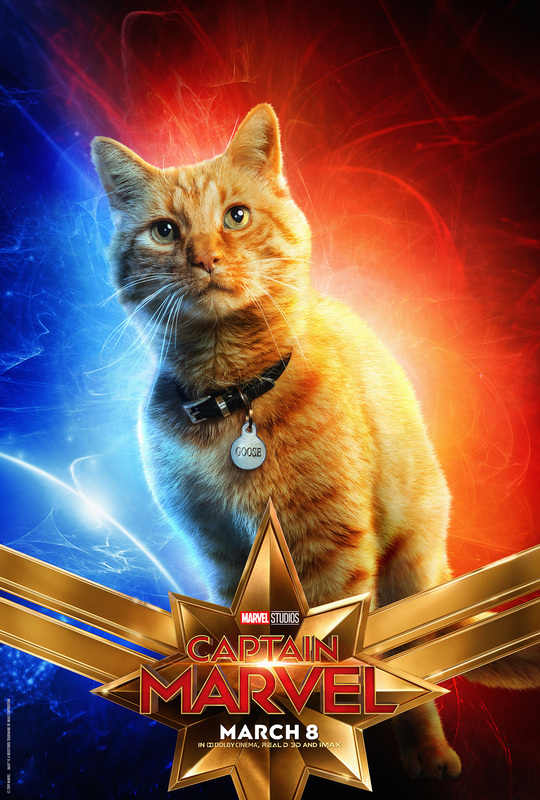 Marvel Studios and Disney have released 10 character posters for Captain Marvel, and the most interesting character poster goes to Goose the Cat. Yes, it’s just a cat, but is it really? 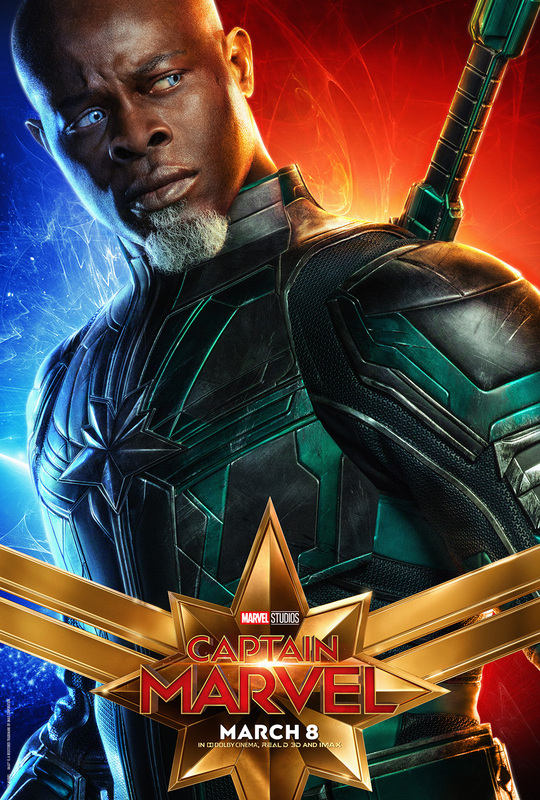 Other characters include Brie Larson as Carol Danvers, Jude Law as Starforce Commander, Samuel L. Jackson as young Nick Fury, Ben Mendohlson as a Skrull in disguise and many more. Check out the posters below of the main cast. 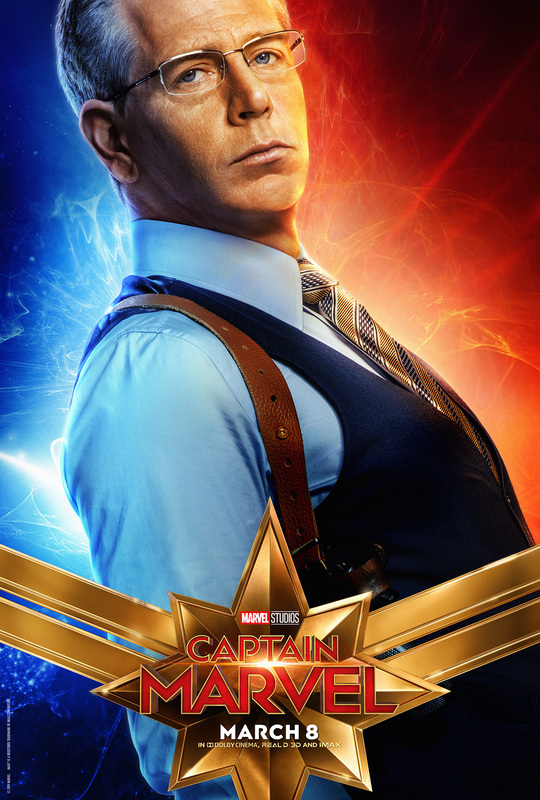 Captain Marvel promotional materials are still coming, with Empire Magazine’s upcoming issue featuring the Marvel Studios film. In the comics, Captain Marvel has a pet cat named Chewie. This cat isn’t a regular cat. In fact, it’s actually a Flerken, an alien species, and it was once hunted by Rocket Raccoon. 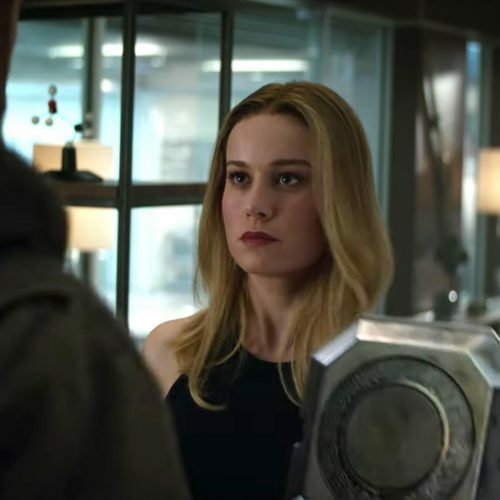 Here we see Brie Larson as Captain Marvel, looking ready for a fight. A part of me wonders if she’ll interact with Rogue down the line since X-Men is definitely going to join the Marvel Cinematic Universe. In the comics, Rogue gets her powers of flight and strength by stealing them from Carol Danvers. He’s still a mysterious character with the title of Starforce Commander. 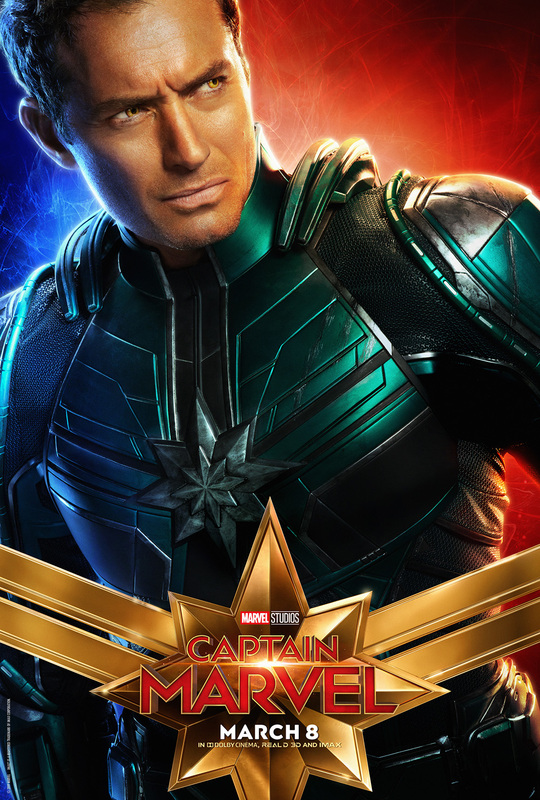 Is he really Yon-Rogg, a rival of Captain Marvel in the comics? Or maybe he’s Mar-Vell. 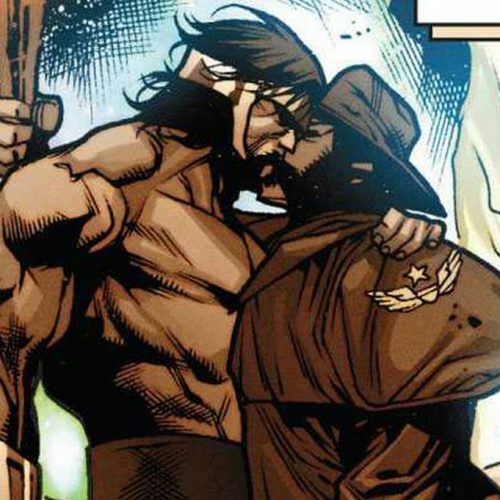 What if he’s actually a Skrull in disguise? I guess we’ll find out when the movie hits. Here we have a young Nick Fury with both of his eyes intact. 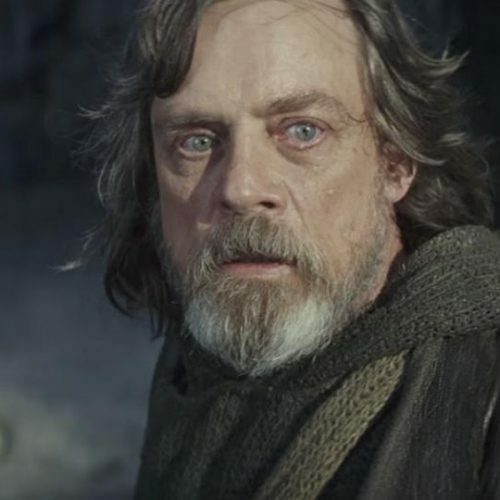 Is he going to lose his eye in the film? Inquiring minds want to know! Minn-Erva is definitely a Kree, and she is the sniper of the Starforce team. 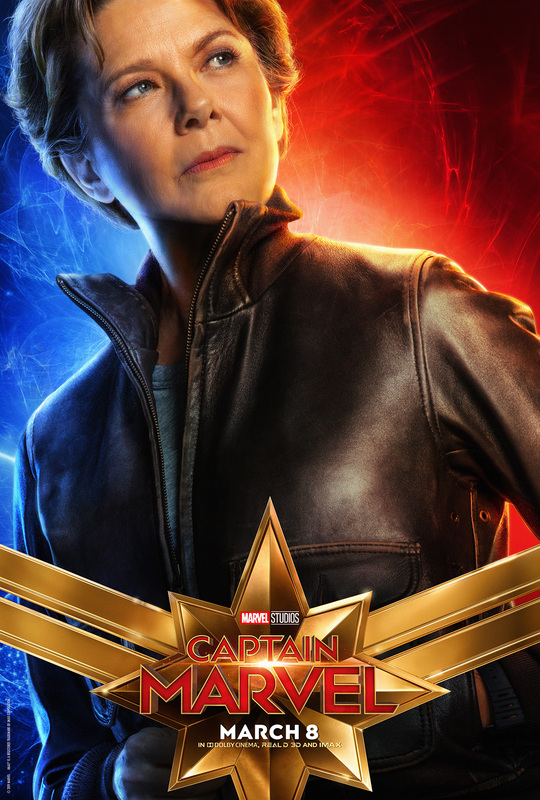 Not much is known about Annette Bening’s role, but she will be vital in helping Carol Danvers becoming Captain Marvel. What’s interesting is that Korath has his own poster, and Lee Pace as Ronan the Accuser is absent. 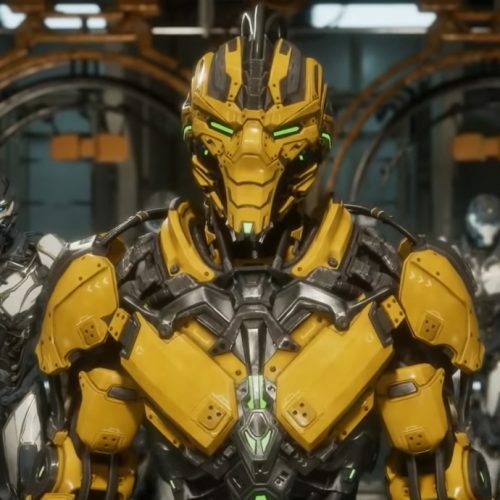 Korath is the second-in-command for Starforce. 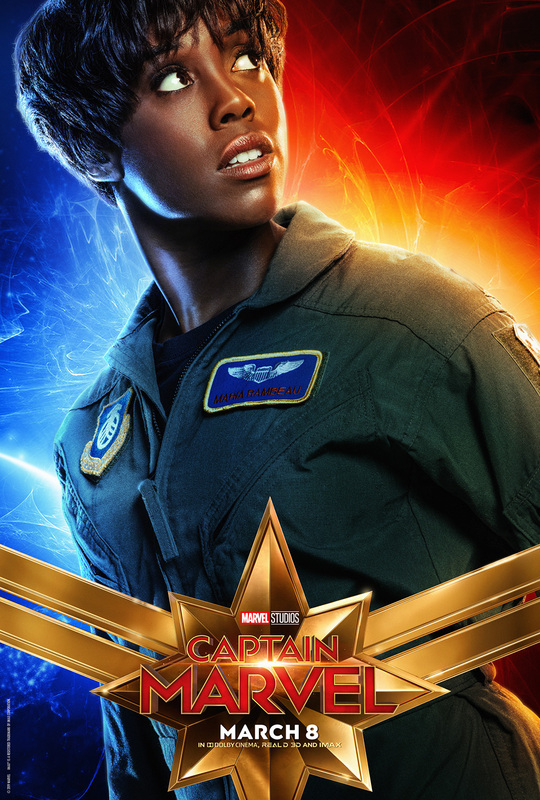 Maria Rambeau is Carol’s best friend and fellow Air Force pilot. The movie will mostly have her help with Carol’s memories of the past. Talos is seen in the disguise of Nick Fury’s boss, and it should be interesting to see his different take as a Skrull and an uptight human. 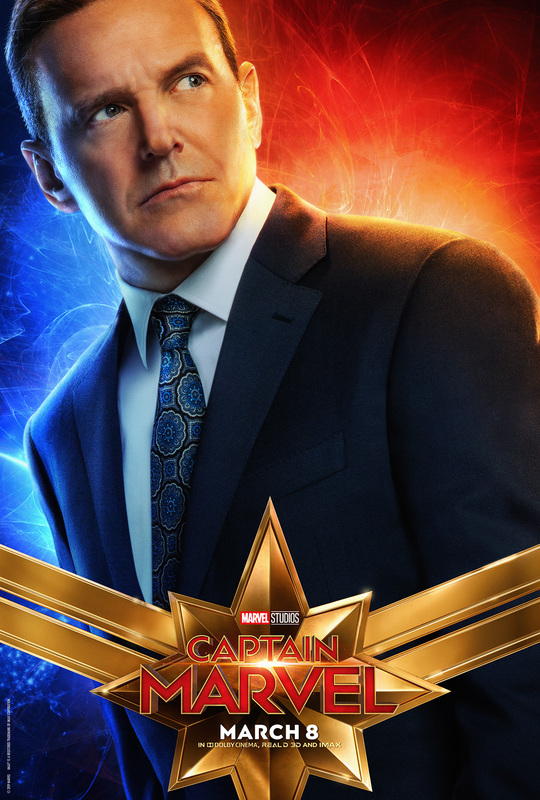 Last but not least is the young Agent Phil Coulson. 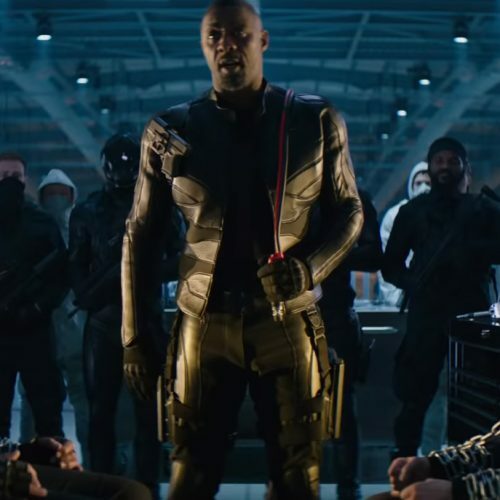 In the film, we’ll get to see him as a new agent as he meets with Nick Fury. 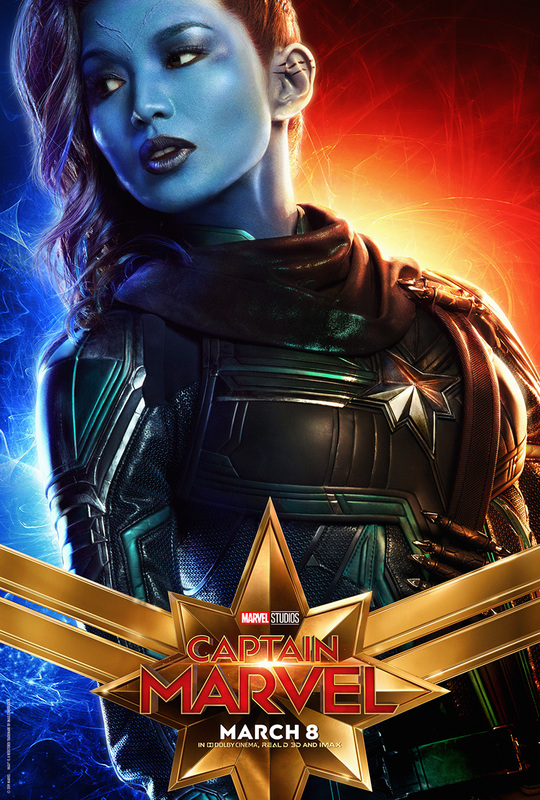 Captain Marvel Synopsis: Set in the 1990s, Marvel Studios’ “Captain Marvel” is an all-new adventure from a previously unseen period in the history of the Marvel Cinematic Universe that follows the journey of Carol Danvers as she becomes one of the universe’s most powerful heroes. While a galactic war between two alien races reaches Earth, Danvers finds herself and a small cadre of allies at the center of the maelstrom. 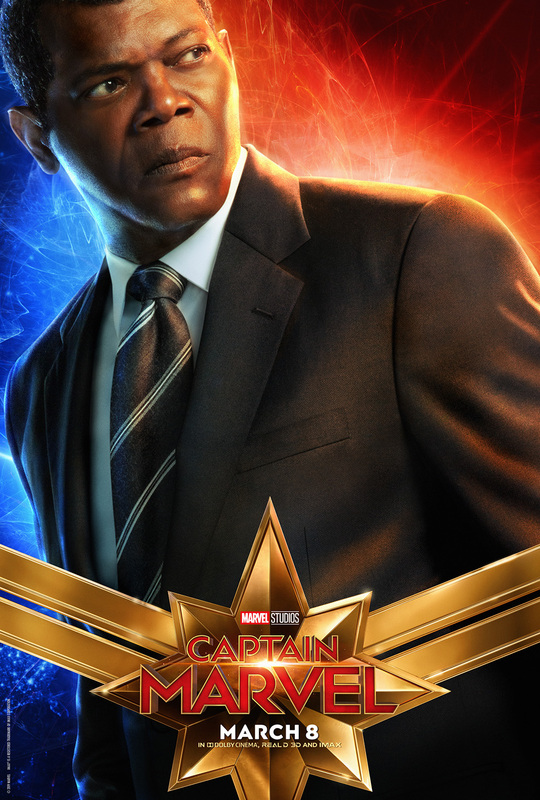 The film stars Brie Larson, Samuel L. Jackson, Ben Mendelsohn, Djimon Hounsou, Lee Pace, Lashana Lynch, Gemma Chan, Rune Temte, Algenis Perez Soto, Mckenna Grace, with Annette Bening, with Clark Gregg, Maria Rambeau and Jude Law. The film is directed by Anna Boden and Ryan Fleck from a script by Anna Boden & Ryan Fleck & Geneva Robertson-Dworet and story by Nicole Perlman & Meg LeFauve and Anna Boden & Ryan Fleck & Geneva Robertson-Dworet. 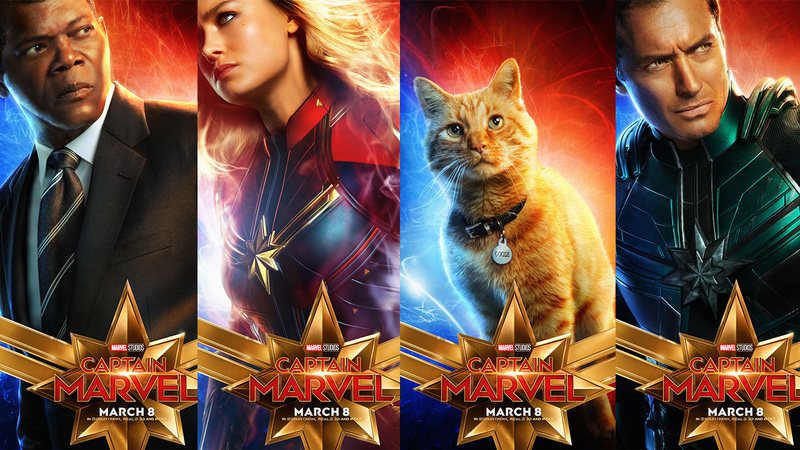 Marvel Studios’ Captain Marvel flies into theaters on March 8, 2019.